BMW recently created BMW Startup Garage, which sets out to tap directly into the potential of particularly innovative startups. With BMW Startup Garage, the BMW Group is continuing its successful collaboration with startup companies, since it has also formed BMW i Ventures, a venture capital company that fosters the exchange with young enterprises developing innovative solutions for urban mobility. At the same time, BMW Group has joined forces with the Centre for Innovation and Business Creation – UnternehmerTUM – at Munich’s Technical University setting up the “TEchFounders“ accelerator programme for technology startups. This programme introduces the BMW Group to innovative technologies, products and services at a very early stage, with the option of working together with the startup teams. “The BMW Group has always actively sought new, pathbreaking technologies, but until now it has been difficult for startups to present their ideas to the company. This, because the internal processes and procedures of a major enterprise can be quite daunting to fledgling companies. With its slimmed-down and efficient processes, the BMW Startup Garage now allows for swift and flexible collaborative projects. That way more startups can be identified and integrated more rapidly”, stated Gregor Gimmy, Innovation Manager of BMW Group. 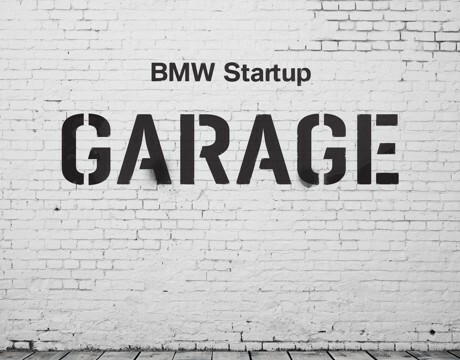 Any interested startup companies can apply online to the BMW Startup Garage and the selection is made directly in close consultation with the innovation management team and the relevant departments of the BMW Group. At the next stage, selected startups subsequently undergo a special programme lasting several months. At the core of this programme is the development of a functional prototype with an application relevant to the BMW Group. Startups also receive assistance in building up their network within the Group and in drawing up a business plan. Rocket Internet launches innovative hotel network ZenRooms across Asia!